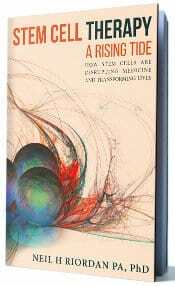 Embryonic stem cells have numerous pitfalls in addition to the ethical dilemmas. While the concept of a “blank slate” cell is extremely attractive in terms of generating new tissues for transplantation and organ replacement, the problem is that these cells are so young that they do not properly “know” how to integrate with existing tissues. This causes the problem of possible dysfunction of the cellular products made from the cells, but also causes the issue of cancer formation. Many studies have demonstrated that administration of embryonic stem cells, or products made from them form cancers when injected into mice that lack an immune system. Because of the risks associated with embryonic stem cells, the FDA has been historically reluctant to allow initiation of clinical trials with them. The leader of the field of embryonic stem cells is Geron, the company that funded the research that lead to the discovery of human embryonic stem cells, as well as the company that has the exclusive license for their commercial use. The business of embryonic stem cells is associated with large financial investments. Specifically, patents are not only associated with the cells themselves but one methods of growing the cells and methods of selecting the cells to reduce the possibility of cancer formation. 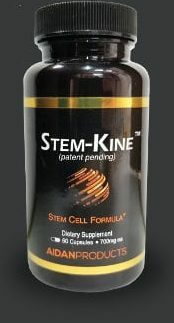 In some ways people believe that embryonic stem cells are an exercise in science because adult stem cells have been demonstrated to elicit numerous therapeutic effects without the risks. Last year a monumental study was initiated in that the FDA allowed for the first human use of an embryonic stem cell product. The company Geron was granted approval to treat patients with spinal cord injury using embryonic stem cell derived oligodendrocytes, the cells that generate the myelin that lines the nerves. Today, information was released on the first patient that was treated with these cells. The patient was a partially paralyzed young man, Timothy J. Atchison, 21, known to family and friends as T.J.
T.J. was a student at the University of Alabama College of Nursing when he was partially paralyzed in a Sept. 25 car accident, his aunt and father said. He agreed to let doctors infuse more than 2 million cells made from stem cells into his spine 13 days later at the Shepherd Center in Atlanta, according to his aunt and a family friend. T.J.’s father, Timothy Atchison of Millry, said his son had maintained a positive attitude, beginning when he was in the emergency room after the accident. and understood how seriously he was injured. Killing of the iPS Field? Embryonic stem cells are associated with numerous ethical dilemmas. 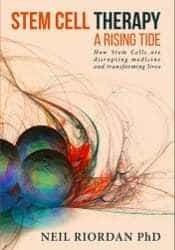 The creation of equivalents of ES cells through retrodifferentiation led to a new area of research that does not require destruction of life. Specifically, it was discovered that any adult cell can be transfected with several genes, which results in the cell taking the phenotype and function of cells that appear to be very similar to embryonic stem cells. These cells can give rise to any tissue that embryonic stem cells give rise to, and unfortunately, like embryonic stem cells for teratomas (tumors). We made a video to explain this http://www.youtube.com/watch?v=_RLlUdJLy74. One of the most exciting medical properties of iPS cells is that they can be made from a donor and theoretically the cells and their differentiated offspring should not be rejected by the donor. This would allow for generation of compatible cells, without the need for immune suppression. However, a recent study suggests that this may not be the case. In the study (Zhao et al. Immunogenicity of induced pluripotent stem cells. Nature. 2011 May 13) investigators assessed the ability of embryonic stem cells and induced pluripotent stem cells (iPS) to stimulate immune responses using inbred, genetically identical mice. They found that embryonic stem cells (ESCs) derived from C57BL/6 (B6) mice can efficiently form teratomas (an aggressive type of tumor) in B6 mice (syngeneic) without any evident immune rejection. However, when allogeneic ESCs from 129/SvJ mice where transplanted into B6 mice, they were rapidly rejected by the B6 immune system. This by itself is interesting because transplantation of adult stem cells, mesenchymal stem cells, does not lead to rejection when transplanted between mouse strains. When B6 mouse embryonic fibroblasts (MEFs) were reprogrammed into iPSCs by either retroviral approach (ViPSCs) or a novel episomal approach (EiPSCs) that causes no genomic integration and transplanted into B6 mice rejection was observed. Specifically, the retrovirally-generated iPS cells were more immunogenic than those generated by the novel episomal method. Rejection of both types of iPS cells was characterized by T cell infiltration. Advanced Cell Technology, a biotechnology company based in Marlborough, Massachusetts which specializes in the development and commercialization of cell therapies for the treatment of a variety of diseases has been awarded FDA clearance to begin a clinical trial implementing human embryonic stem cells (hESCs) to treat Age-Related Macular Degeneration (AMD). AMD has two forms, wet and dry, dry AMD being the most prominent, accounting for almost 90% of AMD cases. Dry AMD is the leading cause of blindness in people over the age of 55. Blindness results from the loss of retinal pigment epithelial cells, a single layer of six hexagonal cells just outside the neurosensory retina, responsible for nourishing the macula, the part of the eye responsible for high acuity vision. The Phase I/II clinical trial will be performed at the Jules Stein Eye Institute at UCLA and the Opthalmology Department at the Stanford School of Medicine. The trial will determine the safety and efficiency of the RPE cells following sub-retinal transplantation. The proposed therapy uses RPE cells derived from hESCs to replace the diminished levels of RPE cells in the diseased patient. The company hopes to show that the RPE cells can be injected into to the retinal space in order to slow or halt the progression of AMD. senescence. In a recent publication this question was examined. culture was achieved up to 200 passages without senescence occurring. modifications. This same finding was observed in embryonic stem cells. possibility of interchangeably using ES and iPS cells for experimental purposes. that their mitochondria may be transferred to aged cells. using iPS as a model of cancer.